Many analysts believe that Russia could be the planet’s next big cryptocurrency market. The Russian government is currently encouraging bitcoin mining and appears to be on the way towards introducing regulations for its own cryptocurrency market. Reports suggest that the Russian President Vladimir Putin has given the green light to plans for the CryptoRuble to be launched. This would be a state-controlled national currency that would be cryptographically secure like bitcoin. Russian Minister of Communications Nikolay Nikiforov commented on the matter that they will start up their CryptoRuble “for one simple reason”. The reason he give is that if they don’t do this then “after 2 months our neighbours in the EurAsEC (Eurasian Economic Community) will”. It still isn’t clear what effect the appearance of the CryptoRuble would have on existing cryptocurrencies such as bitcoin and ether. Some people have suggested that it would lead to them being banned in Russia while others believe it could encourage trading. 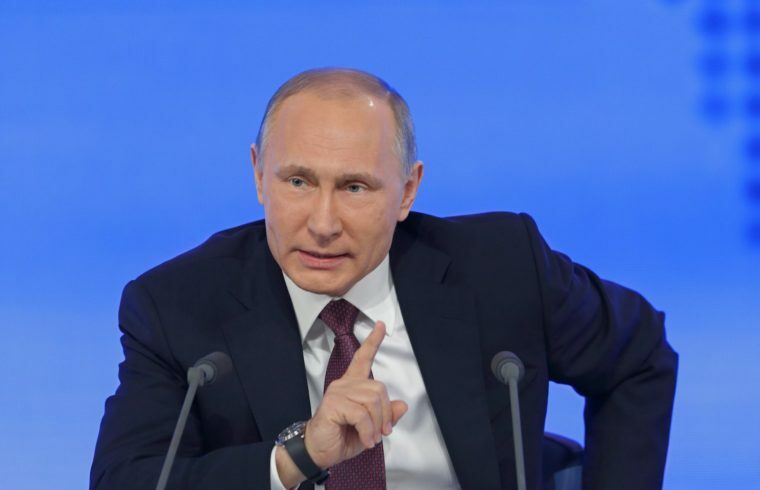 In a statement, Putin suggested that that the Russian central bank is interested in regulating other cryptocurrencies rather than banning them. The President explained in a statement put out by the Kremlin that he has no intention of banning the use of cryptocurrencies in Russia. Instead, he wants to put in place regulations covering them, as is the case in countries such as Japan, the US and South Korea. China is another country that appears to be ready to regulate cryptocurrency trading to make sure that they aren’t used for criminal activities. He continued by saying that they need “to build a regulatory environment” to protect the interests of their citizens, businesses and the state. Yet, earlier this month it was reported that Putin wanted to crack down on cryptocurrencies, targeting bitcoin in particular and calling them “risky and used for crime”. This in turn came not long after they had initially said that they would legalise this market. Before then, the Russian Finance Ministry had suggested that prison sentences of up to 7 years could be imposed on people who mined or traded bitcoins, but this resolution never got off the ground. It now appears that he has decided that regulating the market would be better than completely banning these currencies after all. Of course, the problem with banning the likes of bitcoin is that the trading would probably move to peer to peer trading platforms, which are notoriously difficult to control or regulate. However, if the Russian move trading onto regulated platforms then they can introduce controls such as Know Your Customer and anti-money laundering checks to stop cryptocurrencies being used for illegal purposes. In addition, it is thought that they are keen to charge taxes on CryptoRuble dealing, something that they can’t do currently with bitcoins. These moves in Russia have led to some analysts suggesting that this country could be the next major bitcoin market to take off. Leningrad region governor, Alexander Drozdenko, already suggested last month that Russian bitcoin miners should look to start up currency mining centres to encourage more people to get involved in this activity. While bitcoin and other existing cryptocurrencies are likely to be more welcome in Russia in the immediate future, it remains to be seen what effect the issuing of the CrytoRuble will have on the overall market.